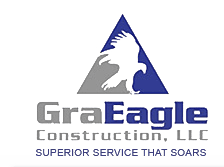 Water Damage in Las Vegas - GraEagle Construction, LLC. GraEagle Construction, LLC, is here to help you address all water damage to your home through the insurance restoration process. We are based in Las Vegas, NV, and established our company in 2001 to provide high-quality construction services to all individuals that have water damage and other damage to their property that insurance claims will address. We know that insurance restoration claims can be challenging. However, once you have the claim filed, you can come to us to begin setting up the terms for the project. We strive to provide high-quality work at an affordable price. Our goal is to efficiently and swiftly address your property’s water damage because we know that when left untouched, water damage worsens and can lead to significant problems. Our team works with you to identify and repair the damage before it becomes too severe. We strive to provide all of our clients with quality customer service that demonstrates our commitment to you. As a part of this commitment, we provide free estimates on all of our services. We visit your property to get a full sense of the water damage and then calculate how much our material and labor costs will be to give you an accurate estimate. Our team knows that sometimes working through your insurance is either too much of a hassle or can be a fruitless endeavor. We also provide our water damage repairs and comprehensive construction services to individuals who simply want to repair their home. Since 2001, our team has helped restore Las Vegas homes after water damage. Over our years of experience, we have developed creative and efficient solutions to most home difficulties, including water damage. When you need high-quality water damage repairs, come to GraEagle Construction, LLC, in Las Vegas, NV. Complete our online form for a free estimate today.